My dad, Carl Edward Fry, Junior, stands below on the right. 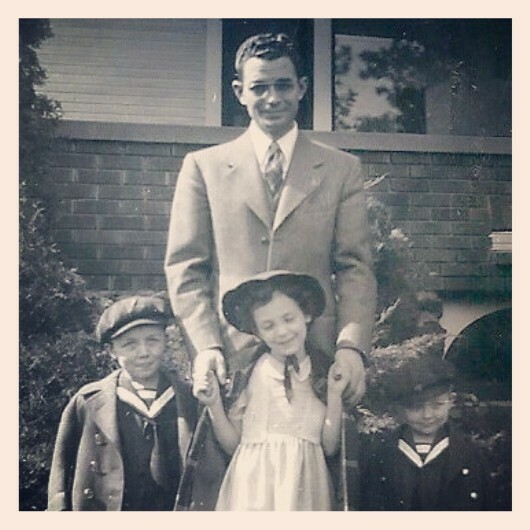 He’s standing next to his sister, Carla; his brother, Stewart; and his dad, Carl Edward Fry, Senior. My dad is known to most as Eddie, Ed or Carl. Now we call him Grandpa Mustache. As I constantly think about how to be a dad to Henry and Ruby, I ask myself, what would Ed do? Thanks for the lifetime of guidance, Grandpa Mustache. Happy Father’s Day, Dad.